Ocular Panther's "Insistences" opens with a tapestry of guitar so melodic that the absent words pop into the listener's ear like a whisper. It's like a collaboration with the band. Don't sweat it; there's plenty room in the band's fourth album of instrumental salvos to hum along. Hell, the band doesn't even know the words; it's too busy harnessing not only the notes but also the picturesque spaces between them. There's a difference between jamming and exploration. The former is the musical equivalent of neutral, where the music and musician are both waiting for the next passage to reveal itself. With exploration, the musician goes out, finds it, and takes it. 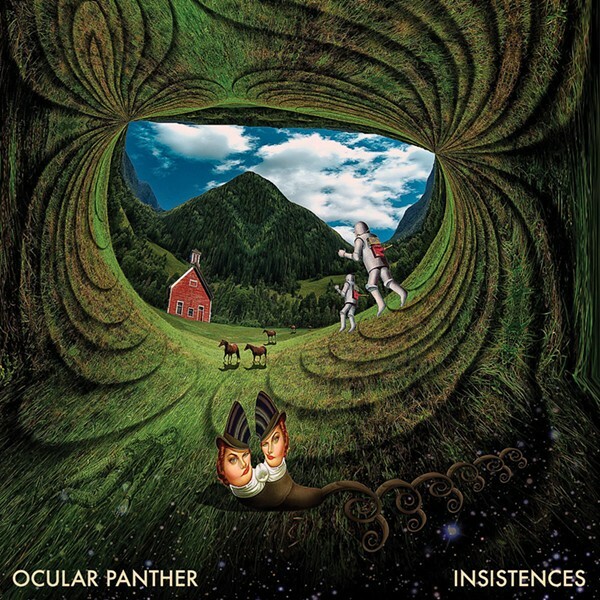 Ocular Panther is extremely precise on this one — but not so tight that it cuts off circulation. "Insistences" is lighthearted and fun with its execution. It's cosmically heavy but streamlined for the ear to enjoy and the hips to get moving.